All SILVERADO homes currently listed for sale in Park City as of 04/24/2019 are shown below. You can change the search criteria at any time by pressing the 'Change Search' button below. "Silverado is located in the heart of the Canyons Village area with easy access to some of the best skiing in the country. This one bedroom unit allows nightly rentals to allow for flexibility as an investment property, second home or primary residence. You also have the ability to lock off this unit and personally stay in one side while you rent the other side out for maximum efficiency. This one bedroom is also a fully accessible unit meeting the requirements of the American Disabilities Act. 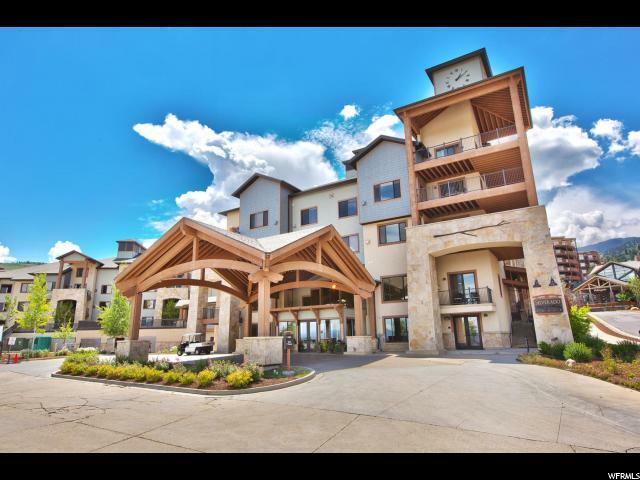 It sets itself apart in the building as one of the few units with extra high ceilings and a deck with down valley and golf course views. Suitably appointed with two fireplaces, granite counter tops, stainless appliances, and knotty alder cabinetry the unit ready to be used immediately. Silverado Lodge amenities include pool, hot tub, fitness center, on site management with front desk, owners' liaison and shuttle."